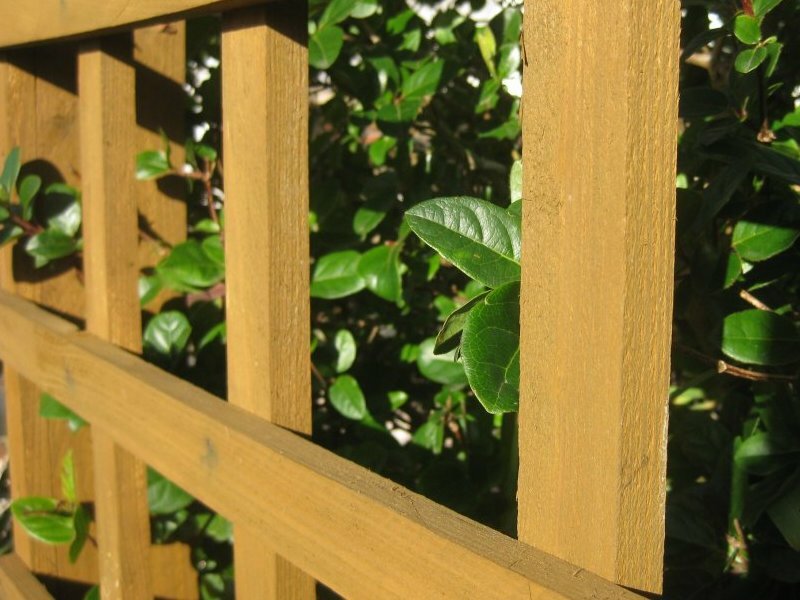 Our sawn trellis is a rustic looking product. 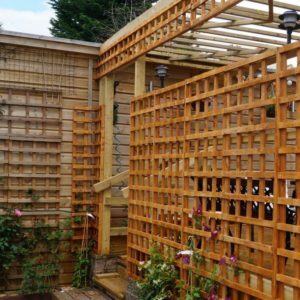 Therefore at Southern Timber we use the phrase “rustic trellis” for panels using sawn battens and arranged in a square pattern. When we say “diamond lattice” it refers to panels using planed battens arranged in a diamond pattern. However, in practice even the sawn trellis is now using smoother battens which appear planed on one face. 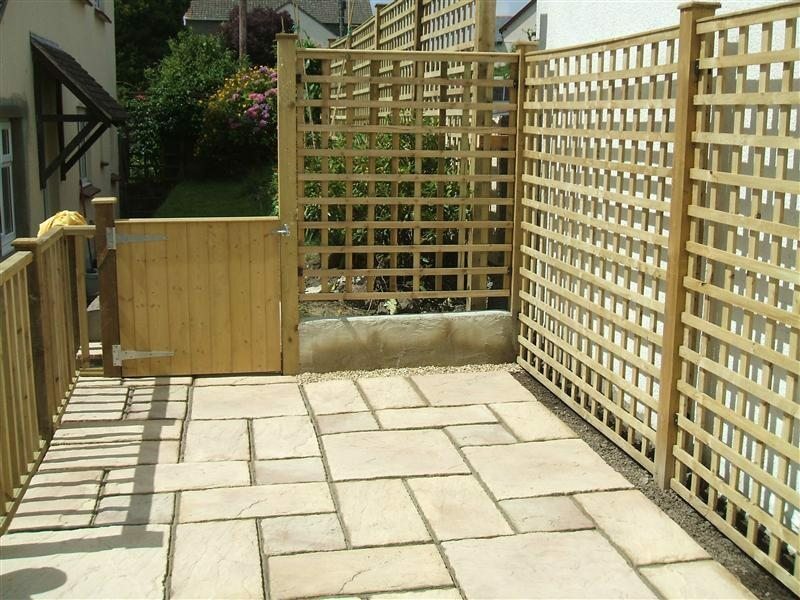 Rustic sawn trellis uses sawn 12mm x 32mm battens which are regularised but not as smooth. Edges are more square and the battens are arranged in a square design. Therefore this is a more traditional and rustic looking garden product. Above all our Diamond Lattice panels have a more contemporary style. Because the battens have a smooth planed finish and the edges are nicely rounded they look more stylish. Furthermore the battens are arranged in a diamond pattern and secured within a nicely rebated planed edging. Because these diamond lattice products are manufactured in Poland we cannot source bespoke sizes. 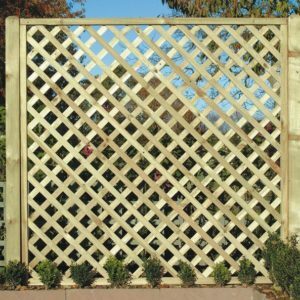 Firstly, we stock a range of ready made trellis panels. These panels are made from pressure-treated sawn timber battens to improve the service life of the product. 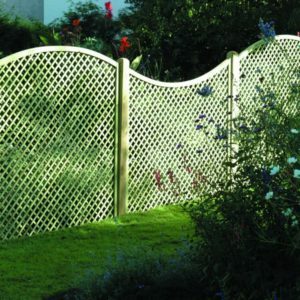 Each trellis panel is finished with an extra batten to improve the products rigidity. The batten spacing on these panels means the square holes are approximately 165mm but there are some significant differences – see below. Finally we can get trellis made to size, this would use a slightly heavier batten. 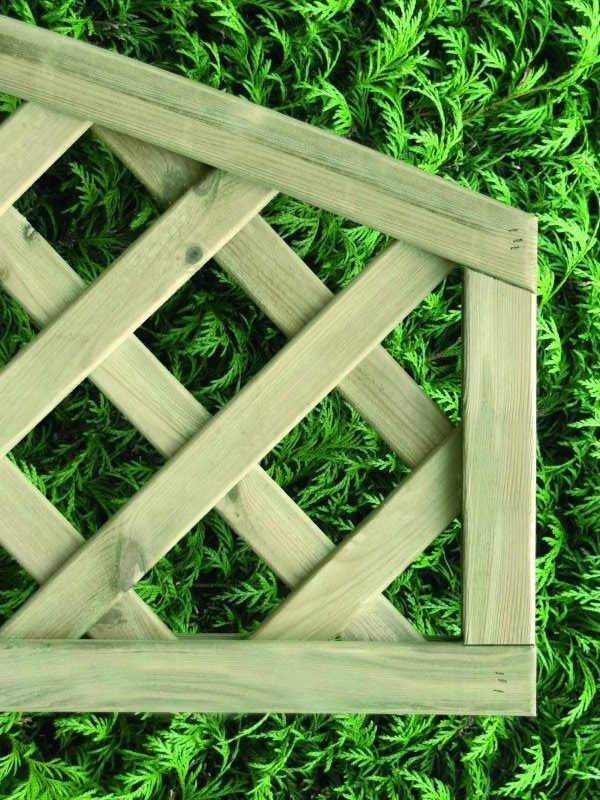 These trellis panels are made to the same 1.83 metre widths as our HD Lap Panels. Finally, we stock a range of sawn timber battens, the most useful for making your own trellis would probably be the 19mm x 38mm batten. At Southern Timber we offer a kerbside delivery throughout the Torbay, Teignbridge, Exeter, South Hams and Plymouth areas. While most deliveries are free sometimes they may be chargeable depending on location and the total value of the order.